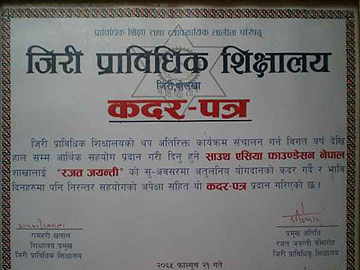 SAF-Nepal has received a letter of appreciation from the Jiri Technical School (JTS) at a function held on March 4, 2009 to mark the JTS's silver jubilee anniversary in Jiri of Dolakha district of Nepal. The office bearers of the JTS thanked SAF Founder Ambassador Madanjeet Singh for showing expemplary kindness in providing scholarships to 40 girls from the poorest districts of Nepal to study Assistant Nurse Midwifes (ANM). The current class of 40 students is the third batch of mostly disadvantaged groups (Dalit and Janjaati) from 20 poorest districts of the country. 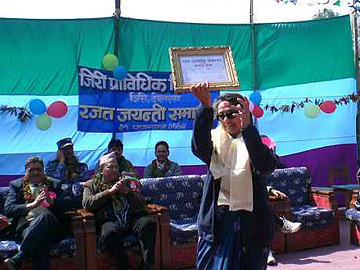 Speaking on the occasion Ram Hari Khanal, Principal of the School hoped that cooperation with SAF-Nepal would continue in the future. On the same occasion, SAF-Nepal Chairperson Dr. Rita Thapa interacted with the newly selected 40 SAF-Madanjeet Singh ANM students who had just arrived from their villages to Jiri for a 18 month course. 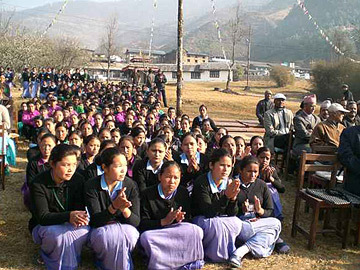 The students used the opportunity to heartily thank the SAF Founder for having provided scholarships for them to get trained in an area which is of primary importance to the health of mothers and newly born children of the rural areas where hospital and modern health care is still a luxury. They looked forward to meet in person Ambassador Madanjeet Singh one day. Dr. Rita Thapa outlined that this course would help them in their career ladder and would make them stand in their own feet upon completion of the course. 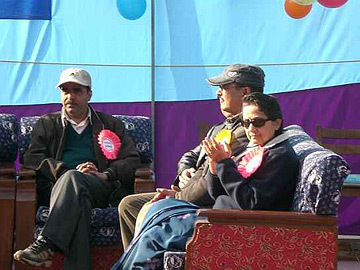 Secretary of SAF-Nepal Nishchal N. Pandey was present on the occasion.